Prairie Industry’s Truck Defender now offers a Lifetime Warranty for their all-aluminum collision bumpers. 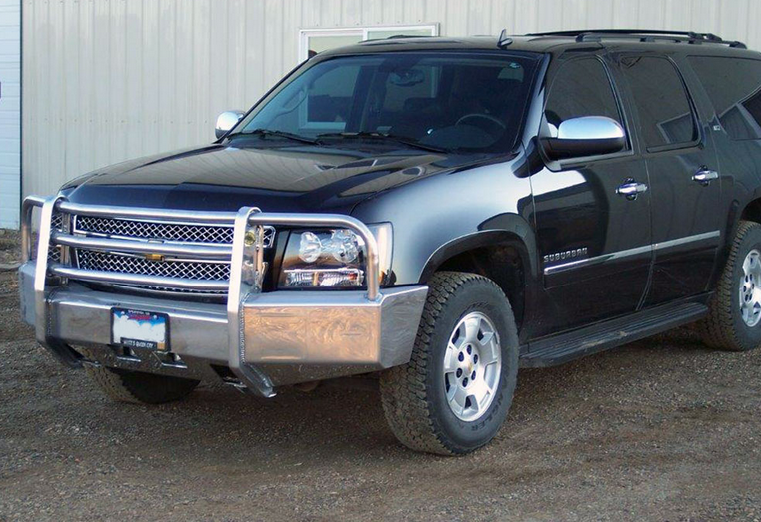 “We have the industry’s only all aluminum collision bumper with a lifetime warranty. It is six times stronger than any other bumper – aluminum or steel,” said a spokesperson for the company. Where other aluminum bumpers use tubing with a blowout rate of 300 PSI, the all American-Made Truck Defender uses schedule 40 piping with a blowout rate of 1800 PSI. The rest of the bumper is made from formed marine grade aluminum, increasing flexibility. The bumpers are lightweight, ranging from 100-125 lbs., versus 350-500 for steel. This translates to fewer repairs of front-end components. Semi truck bumpers have a patented ball bearing hitch system. Accommodations aver available for all OEM tow hooks. Pickup bumpers use 1/4 “ thick marine grade aluminum and 1 and ½” schedule 40 piping. Semi bumpers are available with 3/8 “ thick marine grade aluminum and 2 “ or 3 “ schedule 40 piping. All makes and models are available. Customization options include fog/running lights, light tabs, winch receiver tubes, expanded aluminum for center grill protection, custom pipes, headlight straps, trip bar and 4 post design. Bumpers can be ordered polished to #8 mirror finish, brushed or powder coated black.